Our founder director Jessica Trainor was invited to the Hong Kong radio station Putonghua channel to talk about Hong Kong schooling, immersion education, innovation and technology. We encourage parents to listen to the podcast here. "Hong Kong’s first Reggio Emilia inspired Mandarin immersion school will whisk children on a fun filled Easter learning experience. Open to ages 2 to 7 years old, children can enjoy storytelling, music and dance, Easter themed arts and crafts, magical science and an Easter egg hunt. Register before March 16 to enjoy a 20 per cent discount. Easter camps will be held at both their Central and One Island South campus." "The reason why many of them choose Mandarin is because it develops cultural awareness of Chinese heritage. It also opens up students'future opportunities as China is developing fast in the global market. The best time to teach children languages is when they are between the ages of 0 to 5. Immersion works best!" "Mulberry House offers a nurturing setting for early childhood Mandarin Immersion Education. The school’s curriculum is tailored for children between 0-8 years old and it seamlessly integrates developmentally appropriate activities and structured play with active learning and Chinese culture appreciation, enabling children to think, speak, read and write fluently in Mandarin naturally. The school endeavors to ignite children’s curiosity and creativity, teaching them about the real world through experiential and inquiry-based learning methods." 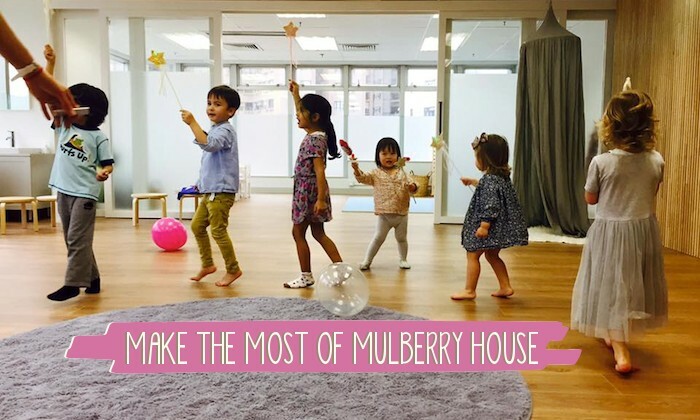 "The ethos of the Mulberry House Immersion Education is to build a strong foundation of Chinese in the early years of learning, using Mandarin as the sole medium of communication. The school endeavors to ignite children’s curiosity and creativity, teaching them about the ‘real world’ through the experiential and inquiry-based learning methods." "At Mulberry House, children learn through play in a completely Mandarin immersed environment, most often without realizing, they may not be using their primary language of communication! Weekly programs, lots of activities, creative and active learning for children between the 1-8 years age group, and more, this haven in Mid level's is perfect for working parents who need to make sure their kiddos are well looked after while having fun." "existing system was missing some key elements, such as: Not enough exposure. Not enough interesting teaching support material in Mandarin. Too much emphasis on repetitive teaching so children end up learning through rote. To fill these gaps the Mulberry House came about...Mulberry House cherry pick teachers who are native speakers, well qualified and innovative enough to teach Mandarin in a colourful, exciting way." Copyright © 2015-2019 Mulberry House Education Group. All Rights Reserved.